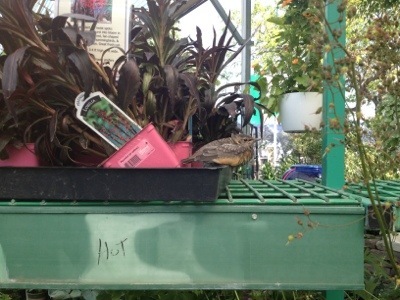 The baby robins from above the speaker in the shade house have left the nest. Heather named this one Fat Albert for obvious reasons! This entry was posted in Greenhouse Garden Center and tagged Garden Center by Bonnie. Bookmark the permalink.